Welcome to my website – please allow me to introduce myself to you. 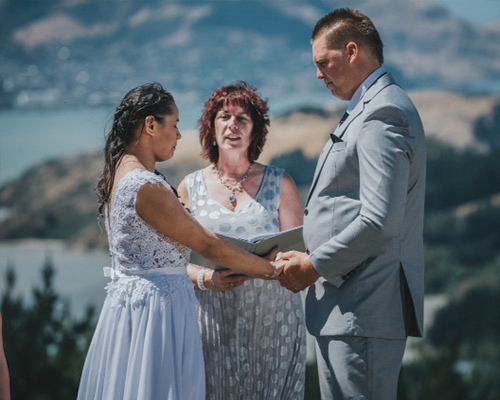 I am a Marriage & Civil Union Celebrant as appointed by the Department of Internal Affairs, and I hold a Bachelor of Education degree in Teaching. I am also an accomplished & confident speaker, with a strong background of public service and governance on Boards of Trustees across a wide variety of spheres including charities, school, local government and community organisations. Please have a look around my website for more information, and for further details on me please read below. I have been married for 34 years to Jim, and have two adult children. 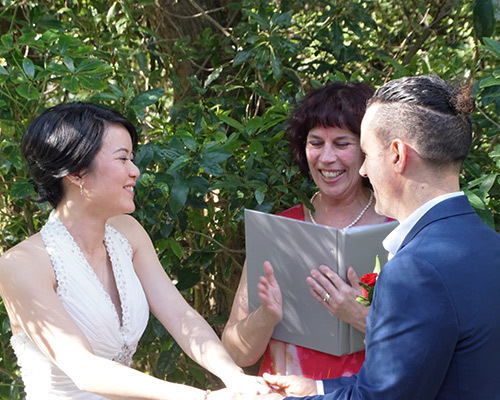 I offer formal or informal ceremonies at your choice of venue and it would be my pleasure to provide you with my Wedding or Civil Union Celebrant services. I have a sense of humour and adventure, so if you have a wild idea – run it by me. I’d be thrilled and delighted to be part of your wedding day! 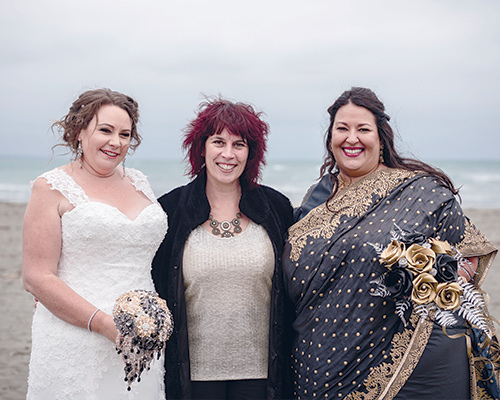 I will work closely and in partnership with you, to design a Wedding or Civil Union Ceremony that reflects your true personalities, thoughts and feelings. 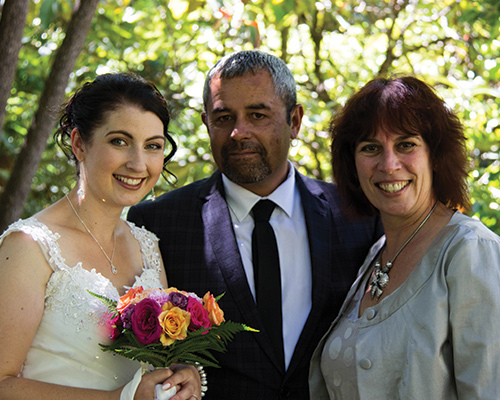 As your Wedding or Civil Union Celebrant, you can be assured of the best possible caring, reliable & punctual approach. 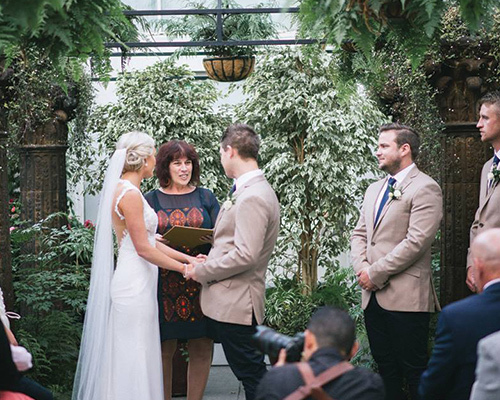 Celebrants have a lead time, so booking a celebrant should be one of the first things you do. 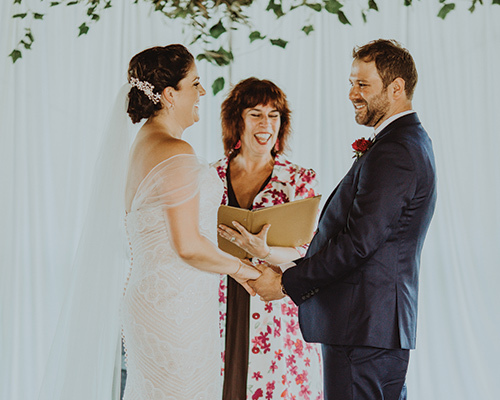 I can guide you through the legal paperwork required and assist you with the planning process for your important day, to ensure it meets all your expectations. Together we can make sure your day is unique, special and will stay in your memories forever. I have sample materials available, so that you can choose my words or create your own – the possibilities are endless! 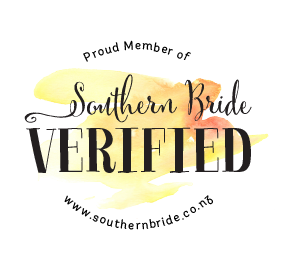 Either way, I can help and guide you in the design of your personalised ceremony. Contact me to check my availability and we can arrange a meeting. I am available by email or phone, should you have any further questions.